By: Mace J. Yampolsky, Esq. In Nevada, tax revenue from cannabis is projected to be more than $50 million in the first year since legalization took effect on July 1, 2017. The cannabis industry is poised to generate even greater amounts of revenue for the state’s coffers in the not too distant future. “Legalizing marijuana at the federal level could earn the government up to $132 billion in tax revenue and create more than a million new jobs by 2025…” Blake, A. (2018, January 12). Federal legalization of marijuana could generate $132B in taxes by 2025: Study. States have been called the “laboratories of democracy,” and 29 states have legalized cannabis for either medicinal or recreational use. Pro-cannabis states are in the majority, and their numbers keep growing. There is ample monetary incentive for both states and the federal government to legalize cannabis. 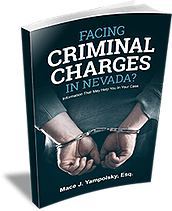 Nevada law allows the use, cultivation, and distribution of cannabis for medicinal purposes and recreational use subject to a variety of conditions. NRS Chapter 453A section 010, et seq. Federal law prohibits the cultivation, distribution, and possession of cannabis. The Controlled Substance Act , 21 U.S.C. section 801 et seq. Under existing Federal law cultivating, distributing and using cannabis subjects a person to potential fines and imprisonment. How Will the Conflict Between Federal and State Law Be Resolved? Since a January 4, 2018, AG Jeff Session Memo, at least one US Attorney has stated that, while he considered cannabis to be a dangerous drug, and could not rule out prosecuting those involved in the cannabis industry, he would allocate his office’s scarce resources to combating the opioid epidemic, not cannabis. The US Attorney, Andrew Lelling, who was appointed by Donald Trump, also said that there had been 2,100 opioid-related deaths in 2017 in Massachusetts but none from marijuana. That the Controlled Substance Act is a constitutionally enacted Federal law is not being debated. What is being debated is conditions on appropriations for the Act. As stated in his January 4th memo, Attorney General Sessions understands that enforcement of the Act is contingent upon Congressional appropriations. An Act that is not funded is a dead act. In that vein, Congresswoman Barbara Lee (D)(California) recently authored a bill that forbids federal agencies from spending money to “detain, prosecute, sentence, or initiate civil proceedings against an individual, business or property, that is involved in the cultivation, distribution, possession, dispensation, or use of cannabis” when those actions comply with state law or local regulations. “Laboratories of democracy” is a phrase popularized by U.S. Supreme Court Justice Louis Brandeis in New State Ice Co. v. Liebmann, 295 U.S. 262 (1932) to describe how a “state may, if its citizens choose, serve as a laboratory; and try novel social and economic experiments without risk to the rest of the country. The current state of federal law and the current policy of the Justice Department should make Nevada cannabis users and producers uncomfortable, but there are reasons to believe that enforcement of federal law which is anti-cannabis may be limited by a lack of enforcement and a lack of appropriations for a fight that doesn’t need to be fought. The criminalization of cannabis has since its inception been based upon imagined health and safety concerns, but cannabis doesn’t pose a threat to anyone’s health or safety. Cannabis does not destroy people. It does not throw a monkey wrench into the functioning of society. Cannabis makes people less anxious, and that’s a good thing. Period. Cannabis is not a curse, but there are those in the Trump Administration who think it is, so it makes sense to prepare yourself for a legal battle.